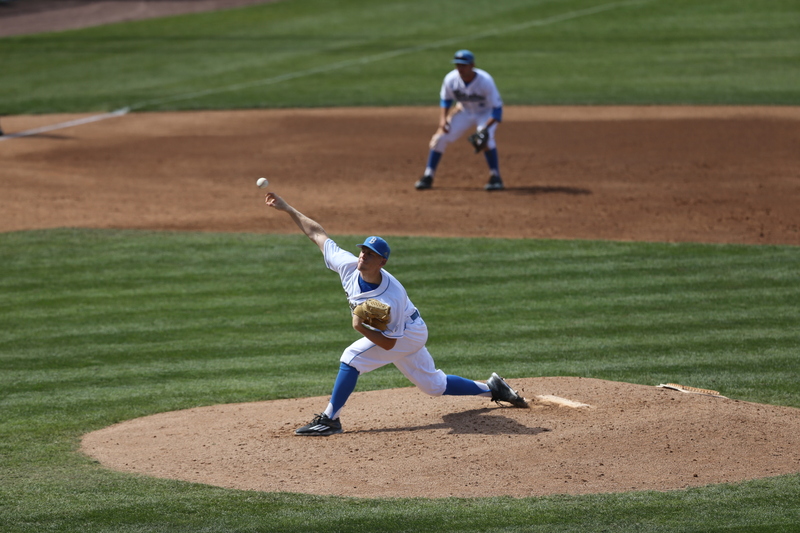 UCLA was one of the last teams into the NCAA tournament and it will be one of the first ones out as the Bruins fell in a 13-inning marathon to San Diego State on Saturday in the Long Beach Regional. The Bruins (30-27) lost 3-2 in a five-hour game as they were swept in a postseason regional for the first time since 1986. UCLA squandered two stellar games from Jon Olsen and Jake Bird on the mound by stranding 15 runners. Olsen went 7 2/3 innings as the starter, giving up four hits and two runs while striking out three and walking one. He allowed three hits and both runs in the second inning. Bird went 4 2/3 innings with two hits, one run and three strikeouts. This entry was posted in Baseball and tagged NCAA regional by Thuc Nhi Nguyen. Bookmark the permalink.